Happy Tuesday!! This week’s Top Ten Tuesday topic is about food, but I’ve decided to stray slightly from the bookish path. The last time there was a food-related theme I shared 10 foodie facts about me, which was a lot of fun… so I’m going to do the same thing again! 1. If I had to eat one food for the rest of my life, it would probably be pizza. I love pizza. For years we’ve had what we call Pizza Friday at my house back home in which my mom makes/buys pizza every Friday and it’s the greatest tradition ever. I definitely miss it now that I’m abroad! 2. I love picking berries. 3. My favorite ice cream flavor is cookie dough. If you’ve never made homemade cookie dough ice cream with actual pieces of cookie dough in it, then you have not lived. It’s amazing. 4. Cinnamon makes everything better. 5. I’m loyal to one specific burrito place. Back home there’s a restaurant called Las Olas that makes amazing burritos– so amazing that I have yet to taste ones elsewhere that are better! I miss Las Olas dearly. 6. I’ve never eaten sushi. I’ve been told many times by various people that this is strange, but there you have it. I’m sure I would like rolls with just veggies; however, the idea of eating raw fish is pretty unappetizing. 7. I often crave lemonade. For some reason whenever I’m tired or really thirsty all I want is a big glass of lemonade. There’s just something so satisfying about it! 8. 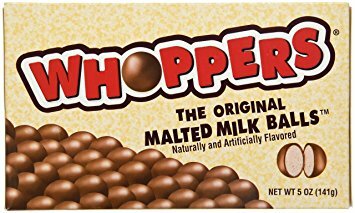 Whoppers are one of my favorite kinds of candy. You have no idea how much shade I have received for genuinely enjoying Whoppers. Apparently they’re not very popular, but I appreciate them for being a) chocolate and b) nut free. Kudos to you, Whoppers! 9. Raisins in porridge is my new favorite breakfast. I love oatmeal (or porridge, as they call it in England) because it’s quick and easy to make yet it still fills you up. Recently I discovered that the grocery store closest to my dorm sells bags of raisins for baking, which are delicious in a hot bowl of oats in the morning. It’s not as good as the granola I eat at home, but it’s a close second! 10. Toast is an underrated food. Toast is good for any and all occasions: breakfast, part of a meal, as a midnight snack… the possibilities are endless! What are some foodie facts about you? What do you think of the ones I’ve shared? If you had to eat just one food for the rest of your life, what would it be? Let me know in the comments section below! If I had to eat the same thing for the rest of my life, it’d be pasta. 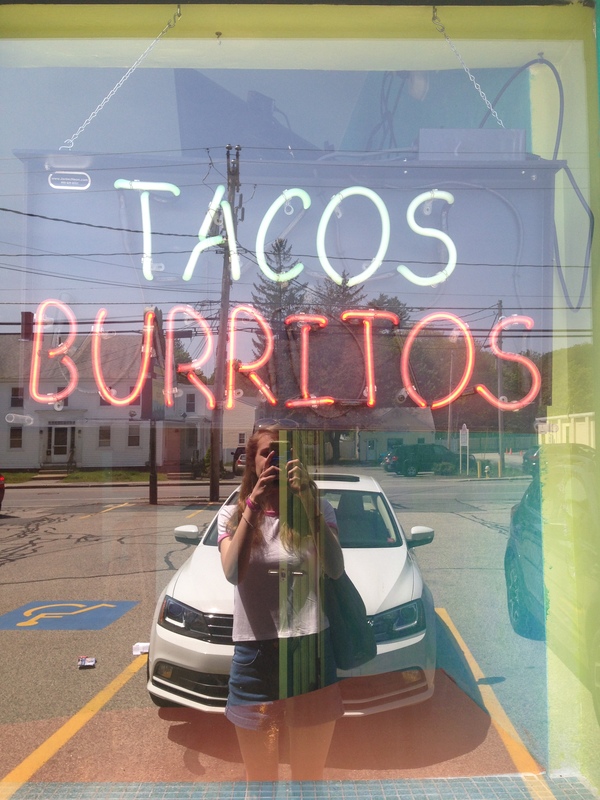 There used to be only one taco/burrito place here as well, now there are two but I haven’t been to the second one yet. Simply because.. Well, loyalty! TOAST IS MY FAVOURITE FOOD. Seriously I found this gourmet toast place in Thailand and went there for my birthday and had toast covered with whipped cream and m&m’s. I also add cinnamon to essentially everything I cook because it is so so good. I really like adding caramel to food as well; a few days ago I made caramel bran muffins. You should totally try something basic like California Rolls (there’s nothing raw in them). I like sushi and honestly those are still my fave. I love Whoppers too and am hoping my kid gets some when he goes Trick or Treating this year– but sorry raisins are a 🙅🏻🙅🏻. Oh I loved this post because I agree with so many things! I literally eat toast every day lol it’s the best! And I’ve tried sushi once but I absolutely hated it! I don’t like fish in general but sushi is just on another level of foods that I despise 😂 AND I LOOOOVE PICKING BERRIES although I haven’t done that since I was very little! I agree about cinnamon! I always eat it in my oatmeal (which I’m mildly addicted to). I also cook my oatmeal with banana, and then I don’t need any additional sweetener. Also, YES to toast. Mmmm. One of the foods I really couldn’t live without is peanut butter (😱, I know). I even made my parents bring me 6 jars when they visited last month! I agree with so many of these! Cookie dough is by far my favorite ice cream flavor, and I also LOVE Whoppers (seriously, why do people dislike them?! they’re so good!!). I love Mexican food in general, but I’m definitely loyal forever to one specific taco place here in Atlanta. And I agree; toast is a vastly underrated food! I’ve never eaten sushi either. I’m vegan, so I would’ve had to eat it before I was eight, but everyone in my family except my cat and dog, hate fish. Fish are friends, not food. A fact about me is that I am allergic to meat! Not vegetarian by choice! Luckily I love vegetarian food anyway! Loved your list! Not all sushi is raw. If you go to a sushi place, they may even be willing to make a specialty roll for you using foods you like. Heck, there are even some deep fried sushi rolls, which are definitely odd, but I still like them. You’ve made me really want strawberry rhubarb pie. Cookie dough ice cream is amazing. And toast is definitely a wonderful addition to food, whether as part of a meal or as a snack. I love pizza too! Cookie dough is amazing and cinnamon does make everything better. YES to so many of these. I could live on pizza forever. I love it. Oh, Whoppers. I always forget about them, but I do love eating them. I think the best bread for toast is made by Dave’s Killer Bread. Their 21 Whole Grains bread is crunchy on the outside, but chewy on the inside when toasted. Is a Whopper like a Malteaser? Because if it is then you have great taste. I love Malteasers. Haha. If I could only eat one food for the rest of my life it would be Cucumber. Oh my gosh, I love Cucumber. We are heading into Summer down here in the southern hemisphere and I will spend so much time sitting in the sun eating whole cucumbers. Watermelon will be a close second… I eat a lot of watermelon too. Maybe? I’ve never had a Malteaser but I’ve seen them in the store here and I think they’re bit similar. ❤ Also, cucumbers are such an under-appreciated food… they're so refreshing! I’m the opposite and have seen Whoopers in a few stores but never tried them. I will pick some up next time I’m getting myself a treat. And it’s so wonderful to find a fellow cucumber lover. They really are so under appreciated. I am attempting to grow my own for the very first time this year, and I can just imagine how amazing they are going to be after all the effort!